well the main assembly has been completed and now it's painting time, so as you can see here i have given the kit a coat of matt white. Keep on building Your bird. Often a nice paint job will cure some flaws! This looks like a nice and busy cockpit! Yes, I like to see some paint on the Hornet. But, what is the material below Your kit? It looks like some kind of sand. I hope, this does not damage Your lovely bird. In all honesty, other then the Holidays and Honey-Do's..!!! I destroyed my first attempt, Rev. 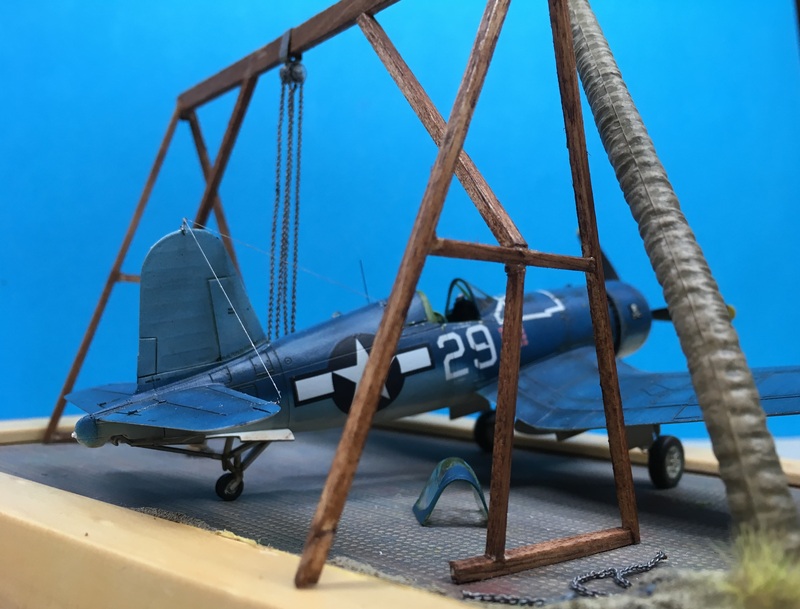 A, at this build by drowning it with a very fluid CA glue..(by mistake).. it ran everywhere and ruined obvious sections of the fuselage, details and all.... Now, in this second version of the build, I'm a little further from where my first attempt finished off at. I still have most all the aftermarket resin and PE that will go into this 'Rev. B' kit. Good luck with Your new Hornet! 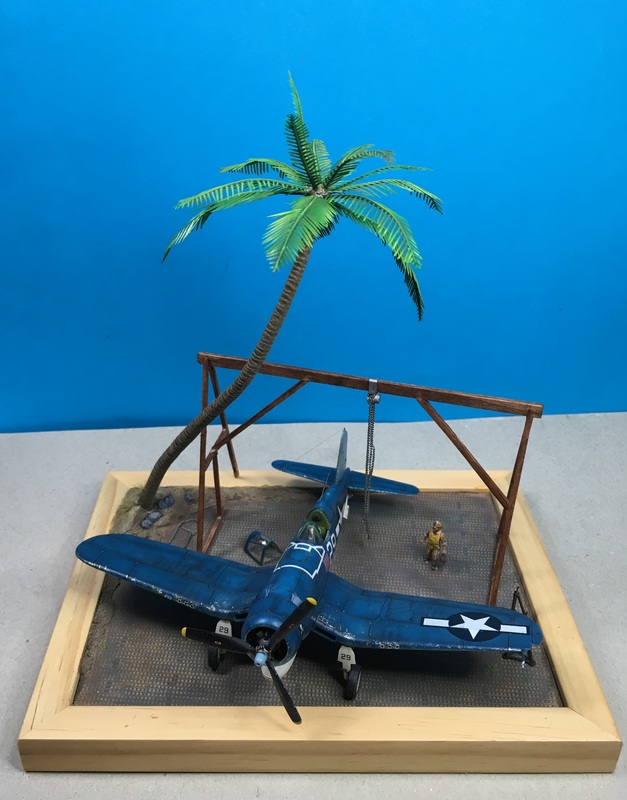 Finished my small diorama. It took longer than I thought. After completing the crane, I found it was too large for the ground plate . Hence, I had to cut it. Now, there is a small pirate´s Island. Hope, You like it mates. 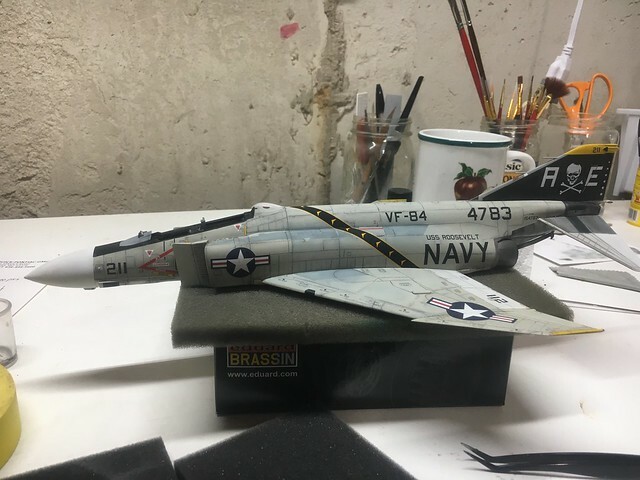 last night I finally started my build for this campaign, it's Academy's F-4J kit in 1/72. At least I won't need much glue, because it's a refined snap-kit. But I won't skip the painting, I think. Seems that change is also a motif of my new year. 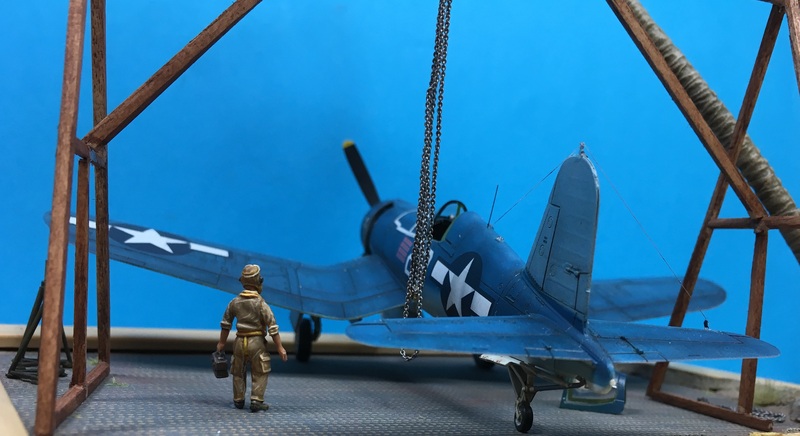 I'm shifting gears from the F4U birdcage to the F4U-1A. I've only got one birdcage, and want to do it in an early two tone color, worn from the Solomon's. So, gonna do this one instead! Can't go wrong with that one John! This seems to be an interesting kit. I never built a snap-kit and I am looking forward to Your built. Yes! Keep the Corsairs coming! 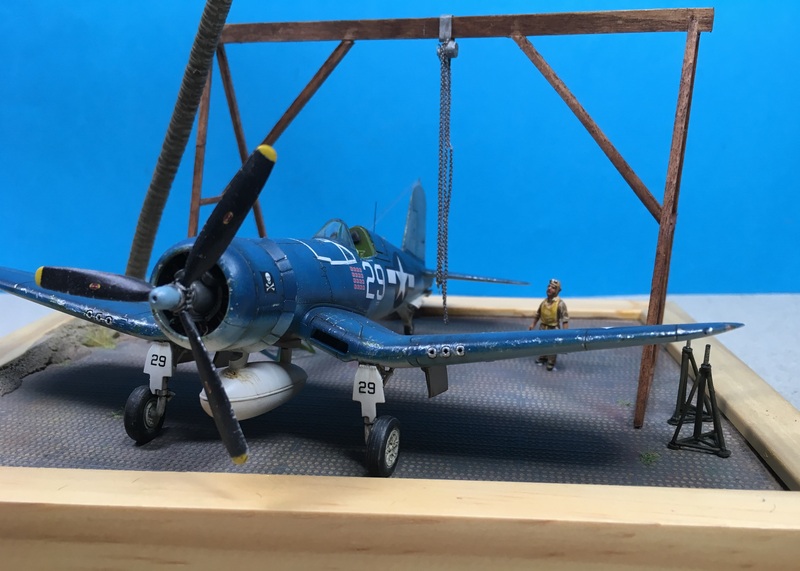 Oliver, that Corsair looks great and the diorama really takes it to the next level! Well done sir. Finally, I could enjoy the photos of your dio, too! Oliver, great job!! Excellent builds so far. 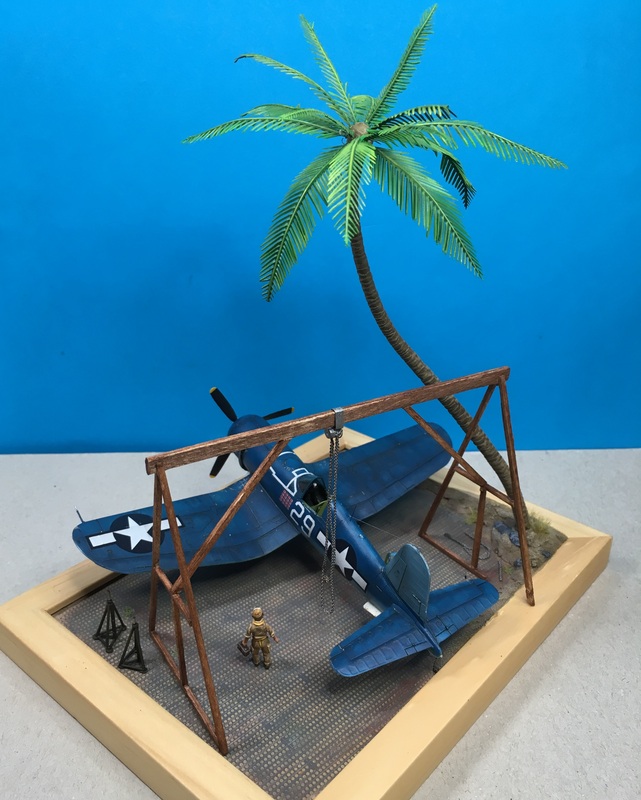 Oliver, I really like your diorama, congratulations. 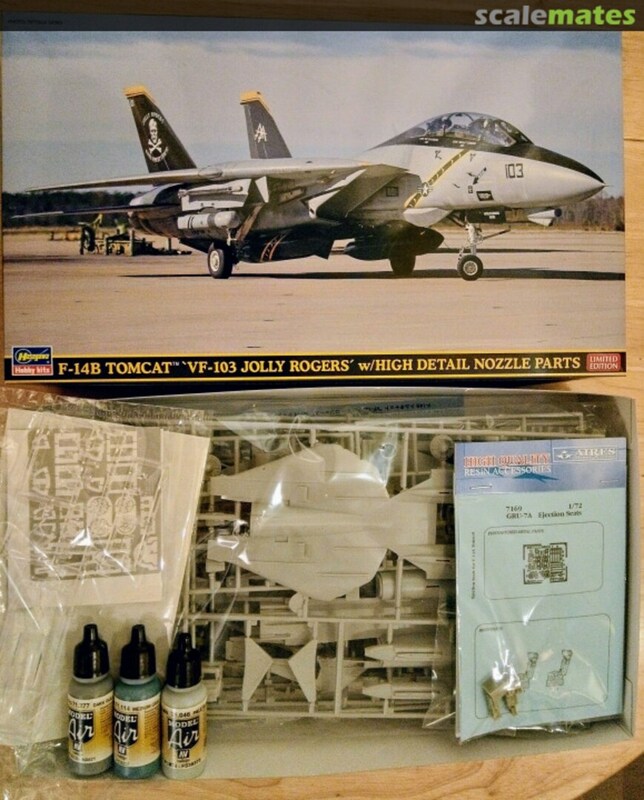 My entry is going to be an F-14B Tomcat 'VF-103 Jolly Rogers'. 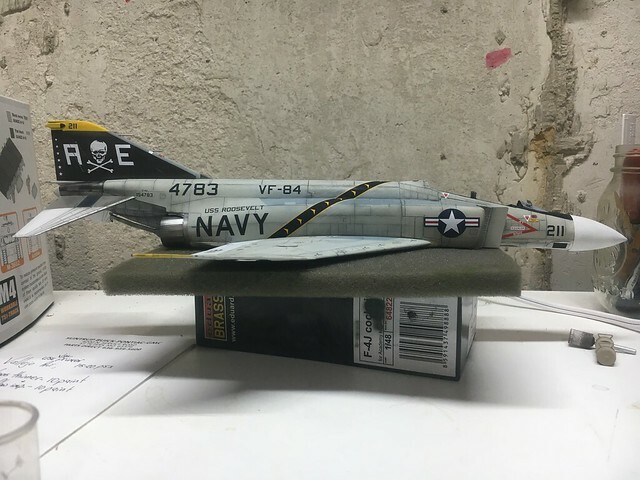 It is a 1/72 Hasegawa model. I'm going along with my Phantom "Snap kit"
The good thing is, you can paint most parts separately and put them together afterwards.There's no need for filling and sanding, so it's a very clean job. But it doesn't go much quicker than a normal kit, well that's ok. Meanwhile I'm painting and decaling, then "snapping together" again. Positive waves Carlos, you can do it! Well a little progress before I travel. great job oliver. i have a psp base i have been wanting to do the same with but am not sure how to paint it to look realistic. could you tell how you did yours? 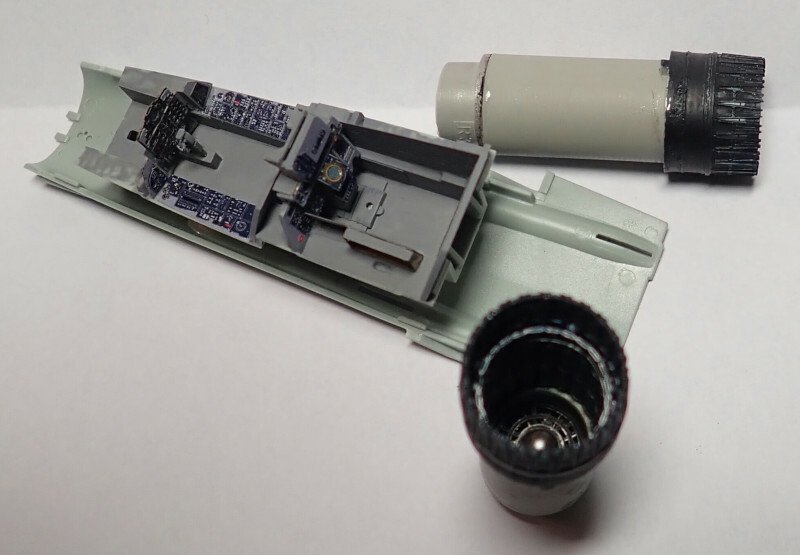 Wow, snapping these parts together looks really interesting. I painted the PSP in different shades of brown´s or rust color first. Than I drybrushed the grey base color followed by some gloss coat. After this, I used a wash of yellow brown oil color. Hope this will help. Looking great everyone! 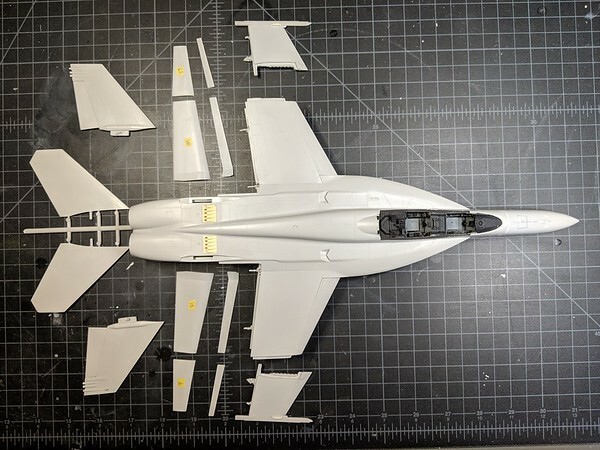 I've got white on the bottom of the Tamiya 1/48 F-14A and hope to get some more paint on it (at least black) this weekend. The sharp eyed looking at the campaign page may note a slight change to the end date of the campaign. I've made an executive decision on that. I'm gonna get this one done, by gar! I almost gave up with my Tomcat, as I'm finishing Spitfire now. You gave me a new hope to finish it. Great stuff guys! Just wanted to post a couple "almost complete" shots as I've just got to complete the payload and the base. It will be in a flying position on a stand.